Accuweigh’s Brisbane branches recently supplied and commissioned onboard Payload Monitoring Systems to three rear lift waste collection trucks currently being fitted out by Superior Pak. The trucks fitted with the Payload Monitoring Systems are being supplied to SITA for collecting waste from commercial sites in Brisbane using the 1100 litre waste bins. The Payload Monitoring Systems works in conjunction with a cab mounted touch screen PC for collecting individual bin weights and bin ID’s to enable the details of each waste collection to be recorded and tracked for future optimisation of route planning. 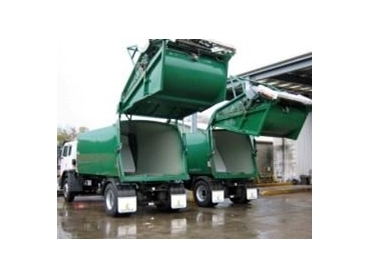 The weighing system also displays the gross vehicle weight to ensure the truck’s carrying capacity is fully utilised before the truck is returned to a collections centre for emptying. The Payload Monitoring Systems comprises four load cells fitted between the truck chassis and the under body of the compactor/rear lift and a digital weight indicator mounted in the cab. All weighing components are sourced from PM Onboard which is a UK based manufacturer of onboard truck weighing systems and Payload Monitoring Systems. Accuweigh is an Australian industrial weighing company and has branches in all mainland states providing complete after sales service and support for Payload Monitoring Systems and onboard truck weighing systems.